I’ve had a fantastic couple of weeks! I’ve been training specific techniques. The learning curve goes like this: see and hear explanation, practice with no resistance, practice with a little resistance, practice with a lot of resistance, try to do in sparring with 100% resistance, become able to do multiple times in sparring. I finally got to the final stage in a few of these techniques. There was stuff I couldn’t do in my last fight that I can do now! That means I’m a different fighter than I was a few months ago. I’ve been doing a lot of striking and wrestling privates. I’ve been enjoying working with Hannah for wrestling. Coach John is such an amazing coach. He can teach me little details and combos and moves that improve me so much. I’m so glad I’m here at Syndicate. Thanks for the picture, Ryan Loco! 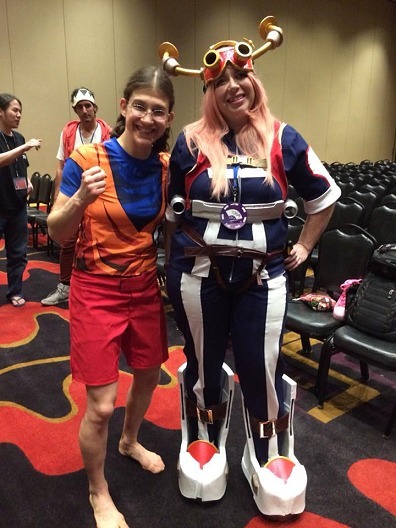 I’ve been training a lot with Serena, of course, and also Chelsea, Jordan, and Natan! This coming Sunday, Jan 28th, is the one year anniversary of me getting promoted to brown belt by Capitão. It was one of my favorite moments in my entire life. 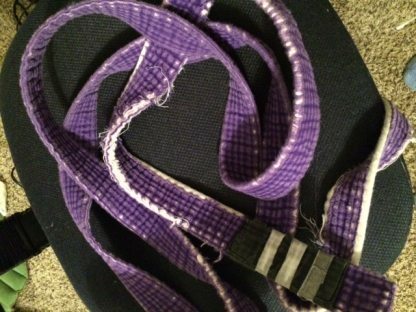 I had been a purple belt for like 10 years (which is like three times longer than normal). 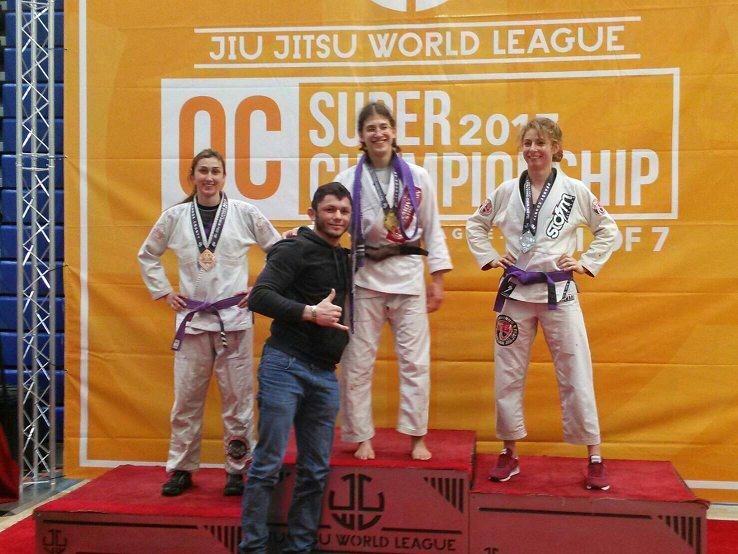 I tried a tournament a few weeks after my Invicta title fight, just to “see where I stood in the gi,” and I got tapped out once, and lost by decision to a beatable opponent in my second match. I was so devastated that I applied myself and trained SO hard. Capitão is such a great teacher. I started obsessively going to his classes, and he really taught me a lot. I love his teaching style. He also became a great friend. 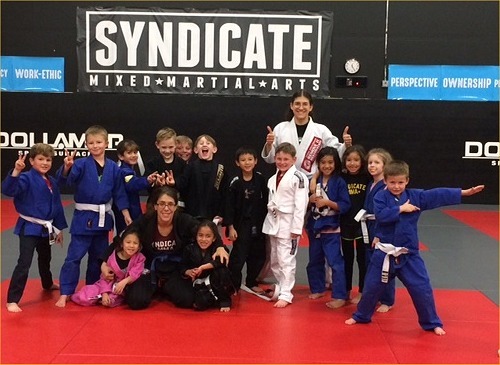 It was hard to take a lot of jiujitsu classes ON TOP of all my other MMA training. I was exhausted all the time. My purple belt was in tatters. I felt depressed every time I looked at it, which was every day. Every day I wanted to get better. I was trimming threads off it every day. “I gotta reach brown belt level before this thing falls apart,” I thought to myself every day. 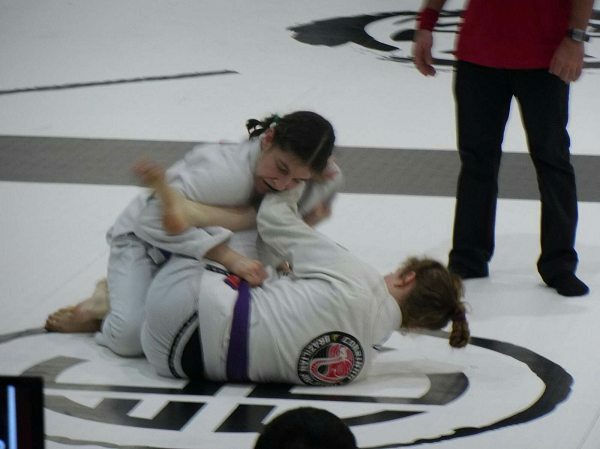 My no-gi level was high, but through disuse, I had forgotten a lot of techniques involving the gi. Chokes, balance, muscles used are totally different! 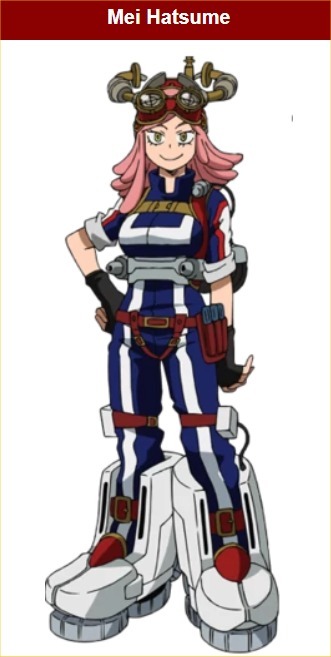 Anyone who says otherwise is wrong. It’s a different world and fighting style. Finally, in January 2016, I went to another tournament in California, sponsored by Remove it Restoration! Capitão went with me. I won it! 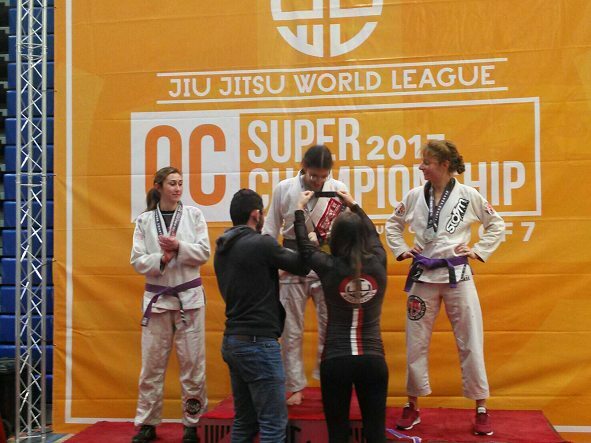 He actually promoted me to brown belt on the podium! I always dreamed of that. It seemed like the coolest way to get surprised with promotion ever, but I never thought it would happen to me. Now, Capitão doesn’t train or teach at Syndicate anymore and I’m so sad. I cried a lot about it, actually. Nobody knows how much I cried over it because I never mentioned it online before. 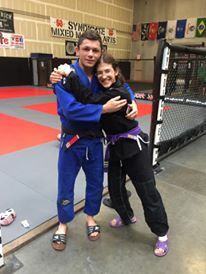 But no matter what other teachers I train with, Capitão will always be one of my best teachers and a big part of my life! I’m looking forward to the next time we can train together. We rolled last Saturday. I miss him so much! 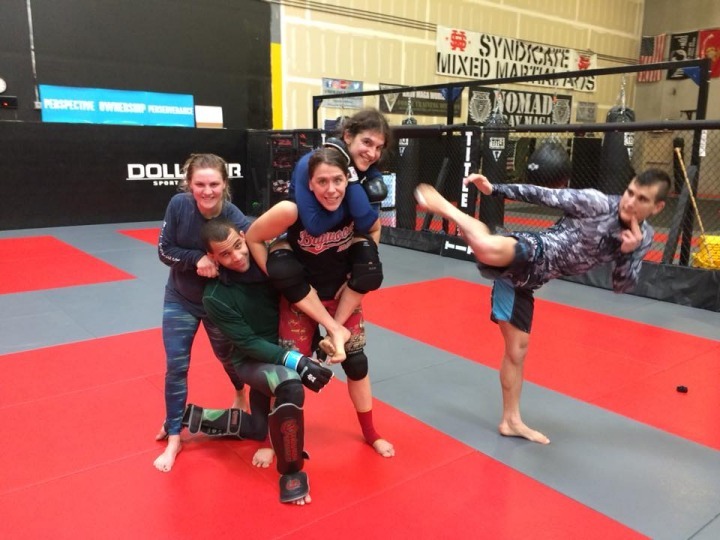 I also did some jiujitsu with visiting fighters and some kickboxing. 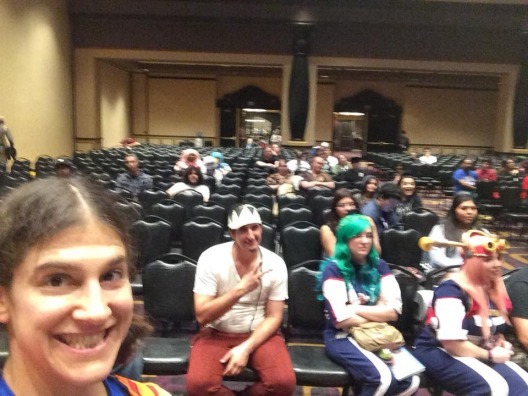 I was afraid that 1) no one would come 2) no one would talk 3) no one would volunteer 4) no one would come say hi for pictures or autographs afterwards. My kids class is awesome. I love them. A lot of them are supposed to compete at the NAGA tournament in Feb so I’m trying to get them ready for that! 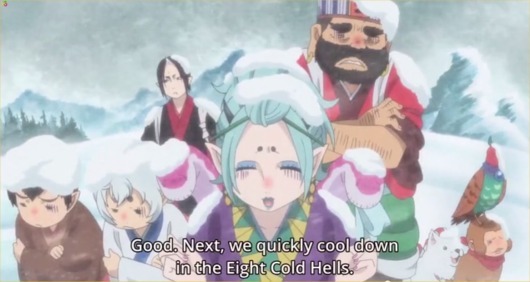 I was sick a few weeks ago and watched a ton of Arrow, Flash, and Hozuki no Reitetsu. and thanks to my blog sponsor My Consumer I.T.! Structured Cabling- Fiber, Cat5 and Cat6, Coax and Wireless, MCIT can do it all.